The Most Reverend Richard E. Pates, Bishop of the Catholic Diocese of Des Moines, received the 2017 Robert D. Ray Iowa SHARES Humanitarian Award on the 5th Anniversary of the award. "Bishop Pates is receiving this unique recognition for his leadership in confronting hunger at home and abroad, and especially for his role building international understanding as Chairman of the Committee on International Justice & Peace of the United States Conference of Catholic Bishops," said Ambassador Kenneth M. Quinn, president of the World Food Prize Foundation, in making his name public. The announcement was made at the Dr. Norman E. Borlaug Hall of Laureates by Ambassador Quinn. Msgr. Frank Bognanno, pastor of the Christ the King Parish in Des Moines, also spoke at the press conference. 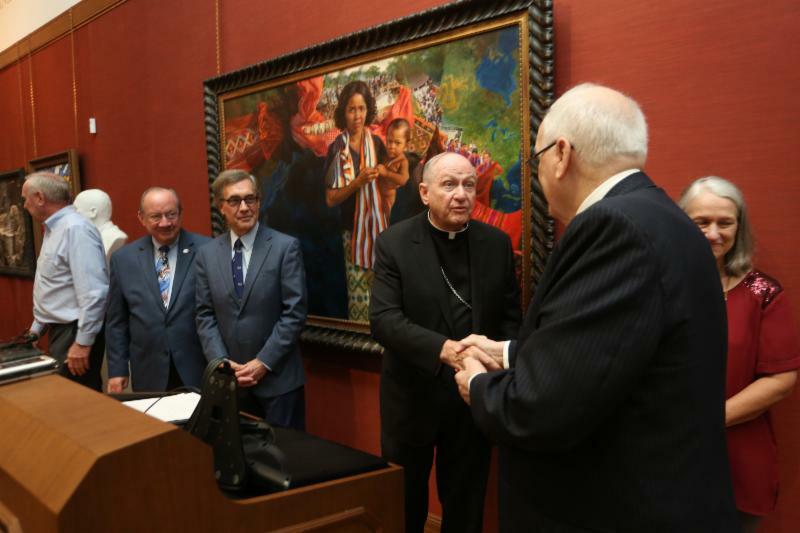 Ambassador Quinn noted that in announcing Bishop Pates as the recipient of the 2017 Robert D. Ray Iowa SHARES Humanitarian Award, the World Food Prize was honoring an individual who has significantly built upon that proud legacy with his own extraordinary leadership. "As the leader of the Diocese of Des Moines for the past nine years, Bishop Pates has established an exceptional record of humanitarian leadership in welcoming refugees from various parts of the world, including Myanmar (Burma) and countries in Africa," said Quinn. Bishop Pates has noted that, "In the great spirit of Governor Ray and the SHARES program, our board and staff felt it essential to take on this work." The Bishop added that, "Settlement of refugees and immigrants is labor intensive, so I am proud of the way our Catholic community continues to respond with genuine compassion and care." 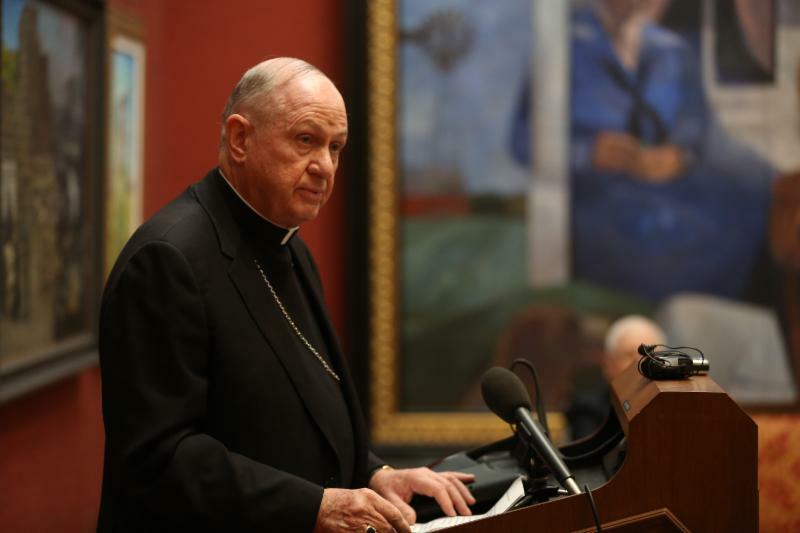 In addition, Bishop Pates has ensured, through the work of Catholic Charities and the Catholic Relief Services, that those who are hungry and living in poverty have food and shelter. He formed a global advocacy team that studies global issues and policy and then meets with government and political leaders to advocate for programs that help the poor. As a result of his leadership, parishioners have contributed over $337,000 to programs operated by Catholic Relief Services to confront hunger internationally. Furthermore, they have separately donated over $500,000 in response to global emergencies in Haiti, Nepal, Southeast Asia, the Pacific Rim, and the current famine in East Africa. Locally, the Catholic Charities Food Pantry provides free food to over 2,500 families annually within the Diocese and operates shelters in Council Bluffs and Des Moines. Through his yearlong leadership within the U.S. Conference of Catholic Bishops, Bishop Pates compiled an extraordinary record of building bridges to countries and peoples with whom the United States has a most distant relationship. Bishop Pates' efforts extended to three extremely different areas, each with intractable problems of diplomacy. Included were Cuba, Iran, and the Israeli-Palestinian divide. He led delegations to each country, opening dialogues with religious and political representatives and identifying humanitarian issues such as combating poverty and addressing acute medical needs. 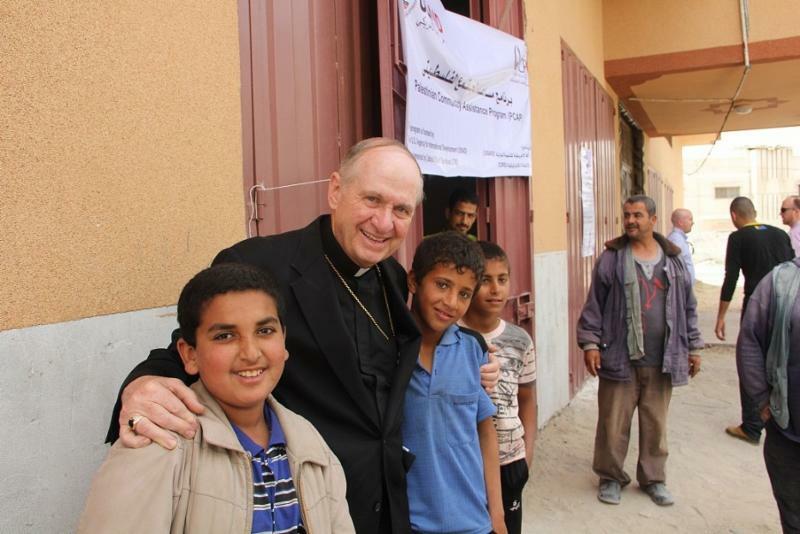 In so doing, Bishop Pates has shown that it is possible to create understanding around humanitarian issues. "Bishop Pates has demonstrated again and again that leaders of faith have a remarkable ability to initiate and provide openings where diplomats and political leaders are unable to do so," observed Amb. Quinn. He added," Bishop Pates is reaffirming that confronting hunger and poverty can bring people together across the widest differences of ethnicity, religion, politics and diplomacy." "The award will be formally presented to Bishop Pates at the Iowa Hunger Luncheon on October 16 at the Downtown Des Moines Marriott. The event is free and open to the public and Iowans are encouraged to RSVP for the event at www.iowahungersummit.org/hsregister," said Crystal Harris, the Director of the Iowa Hunger Summit. Harris noted that the announcement of the recipient was scheduled to coincide with former Governor Ray's birthday on September 26. Harris further explained that the Iowa Hunger Summit is about confronting hunger both at home and abroad. "Governor Ray's legacy is similarly about addressing hunger issues here in Iowa and alleviating human suffering, including by welcoming refugees from Indochina at the end of the Vietnam War, and by rushing doctors, nurses, food, and medicine to save starving Cambodians in 1979, said Amb. Quinn. "Those actions on the Governor's part came following the historic visit of Pope John Paul II to Iowa in 1979, and the interfaith appeal that was made at that time. Msgr. Bognanno spoke about this historic Papal visit.